Austral Wire Products has successfully released a new addition to the range of Angas Fencing – MAX-LOC – a superior quality prefabricated rural fence. The distinct features of the MAX-LOC Fence include the unique ‘smooth-knot’ design along with the ‘single piece picket wire’ which combined provide the Australian farmer with a stronger and much faster fence to erect. 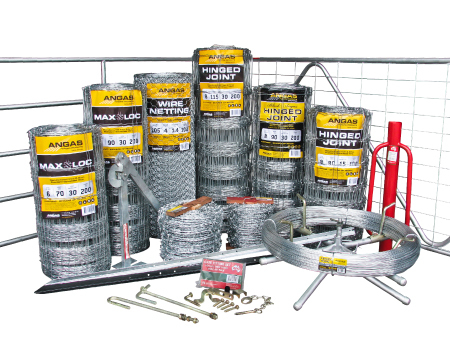 As a consequence of the outstanding quality features of Angas MAX-LOC, the market has enthusiastically received the launch of this new and exciting product which greatly complements the Angas range and provides the Australian farmer with greater value for money when considering their investment for fencing rural property.